The ultimate in luxury, in a glorious oceanfront setting, Villa Balinese, a three-bedroom villa, combines the finest in Caribbean style with exquisite Balinese interior themes. 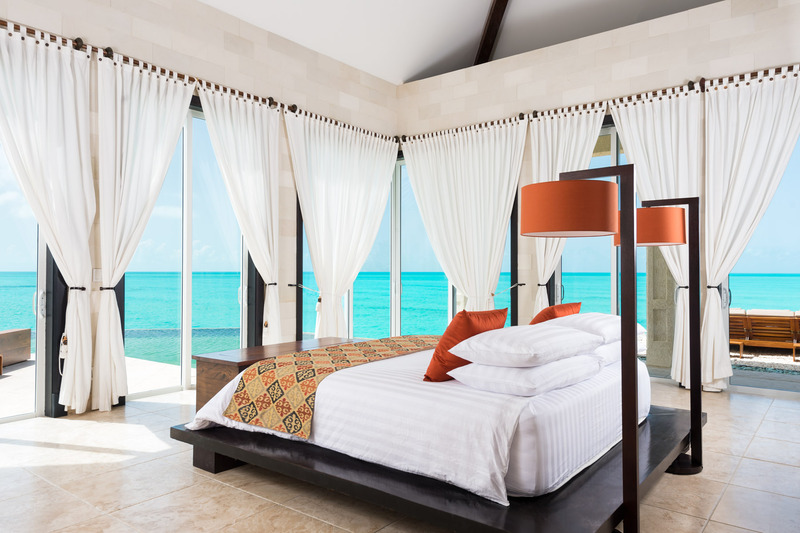 This vacation home overlooking the Turks and Caicos Banks, is surrounded by spectacular ocean vistas and cooled by constant tradewinds. 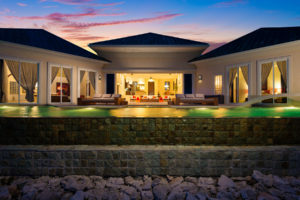 Cascading waterfalls flanked by a row of coconut palms mark the entry to the 4,200-square-foot villa. 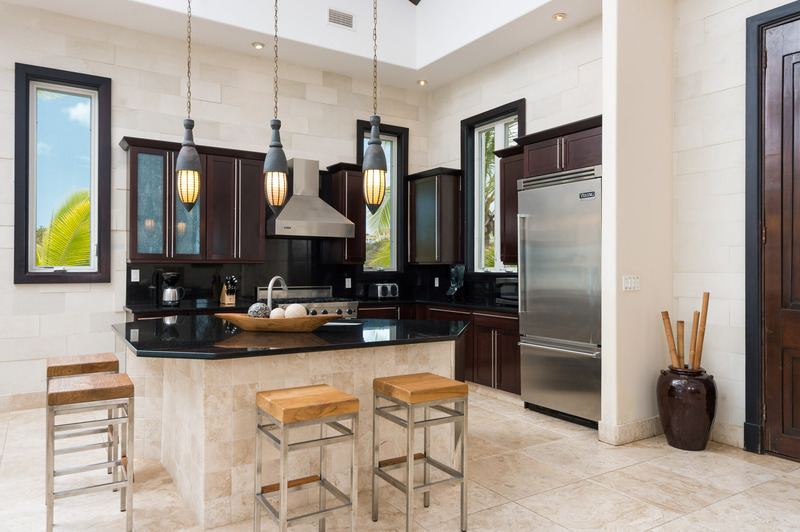 A great room of striking design features travertine marble flooring, 30-foot vaulted ceilings, and walls of patterned Asian pearl-stone tiles. Stunning ocean views fill the entire great room, which expands through pocket sliders to the large pool terrace overlooking the Caribbean sea. A concealed granite bar with icemaker, fridge, two wine coolers, and hydrolically raised 50-inch plasma TV and music center set the stage for relaxation. 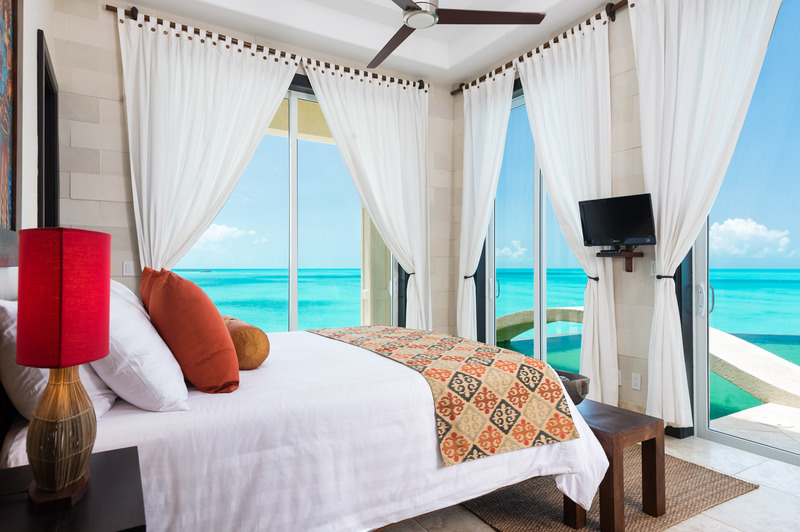 The master bedroom wing sets a new standard of luxurious indulgence – step out to the adjoining swimming pool for a morning or late night swim, or have breakfast in bed, enjoying the ocean view from 90-degree glass doors. The suite includes a raised bathtub with waterfall showerhead and separate shower alcove. A double vanity with vessel copper sinks, separate toilet, amd a walk-in closet lined with custom mahogany shelving complete the arrangement. 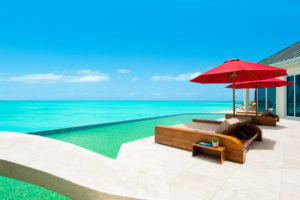 A private terrace offers a carved Indonesian day-bed to recline and bask in the scenic surroundings and southeastern breezes. Two guest en-suite bedrooms occupy the opposite wing; each with ocean views and glass doors giving access to poolside. Each room has a private balcony furnished with handcrafted Balinese daybeds. A state-of-the art kitchen is outfitted with Viking appliance, six-burner stove, black granite countertops and center island counter with stools for informal dining. 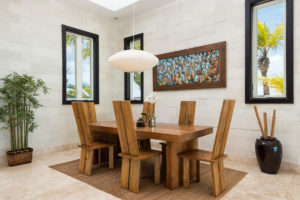 A dining area provides formal seating for six. 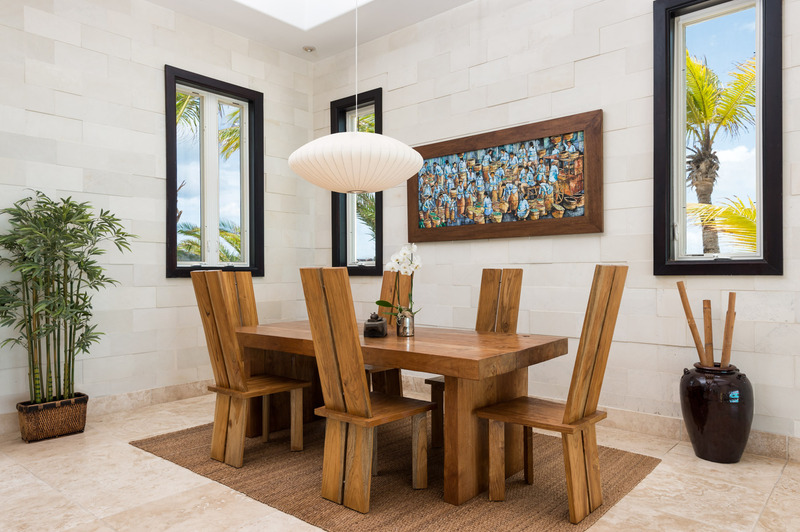 Furnished with impeccable taste and style in a mixture of imported Balinese hand-made contemporary and antique pieces, ornamentals and artwork, the villa is replete with custom design elements of innovation and functionality. 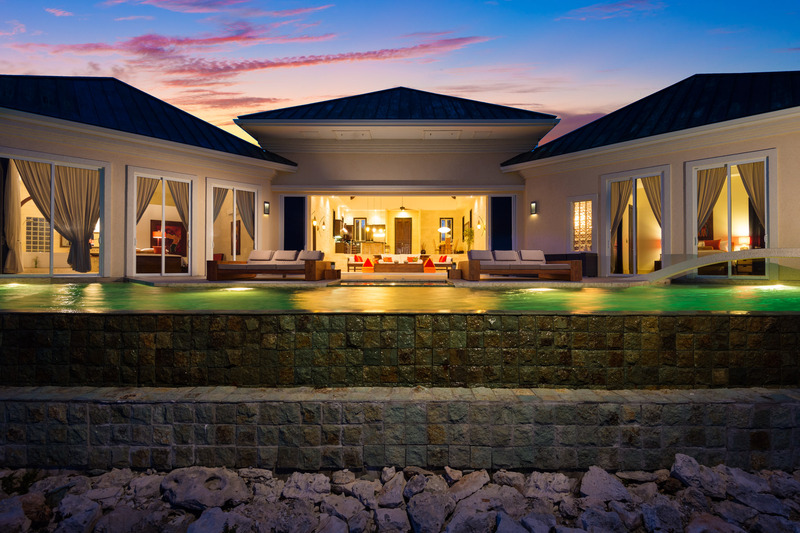 The stunning centerpiece of the villa is its angled, infinity pool constructed in emerald-green stone, with arched pool bridge at one end. 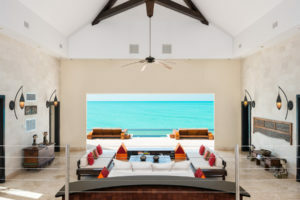 Spanning the breadth of the house, it connects with an infinity-edge, heated Jacuzzi, both cascading pools forming a magnificent visual flow to the ocean below. 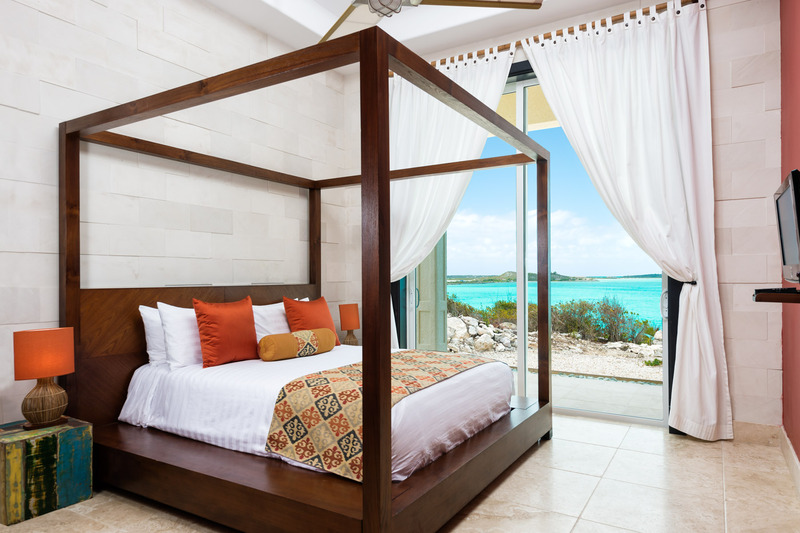 A walkway leads to the ocean, via a thatched gazebo with roll-down straw blinds, furnished with Asian cushions and recliners—a perfect spot for daily massages, or contemplating the soothing waterfront environment. 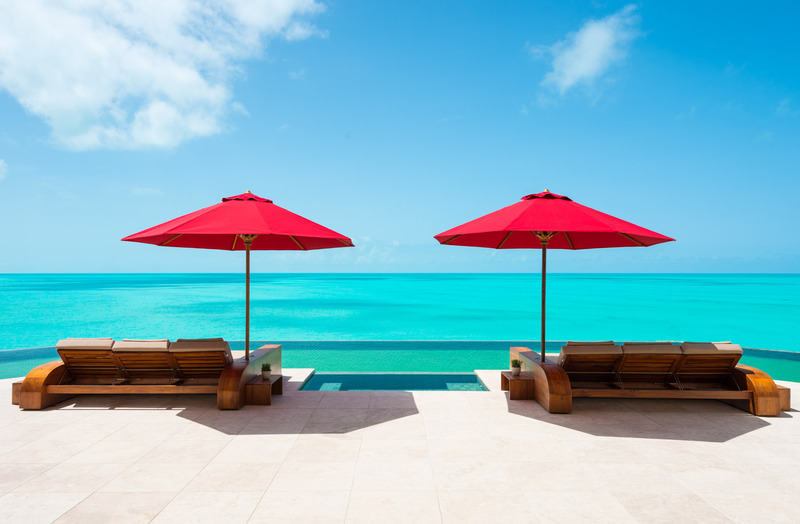 Villa Balinese is a place of joyful karma, a villa of bold and seductive elements in a uniquely beautiful Caribbean setting.